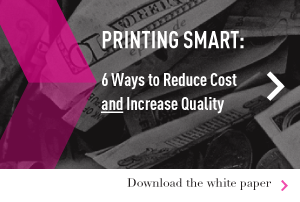 Why does variable data printing cost more? As you probably have assumed from the blog post title, variable data printing (VDP) DOES cost more than standard printing. But why? And how much more? When is it better to use digital marketing? What are the advantages of print? What is the ROI of digital versus print? Which has the highest response rate? These are all of the questions that today’s marketers want to know. It is a new game in marketing these days. No longer does the company with the largest wallet win. It is now the company with the largest brain, the one who can get the biggest impact that ends up on top. Conclusion: Both Digital Marketing and Print Marketing have their advantages. Why not get the “best of both worlds” and create a cross media campaign that delivers your message to your target audience in the way they like to receive their information. In this study from Harvard Business Review, the statistics show that a cross platform marketing strategy will yield the best response rate and the highest ROI than any channel alone.